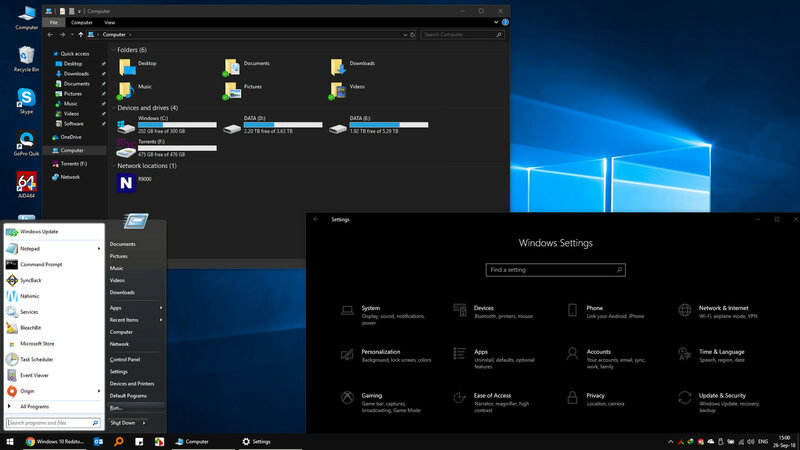 Windows 10 1809 FINAL Build 17763.1 (PC) [RS5] has been released to the public! * Removed Cortana, Windows Defender, Microsoft Edge, Windows System Restore, Windows Error Reporting, WindosToGo, Device LockDown, Retail Demo Content, Customer Improvement Experience Program, All Windows Store Apps except Xbox as the Windows Game Mode depends on it, and much more. In Redstone 3 and Redstone 4, as the Windows Loading icon is spinning, it used to hang after 5 seconds for a brief 3 second period then continue to spin/load Windows, that caused a small delay in the boot process. That didn't happen on a fresh install but it happened every time after installing all the drivers. This has now been fixed. 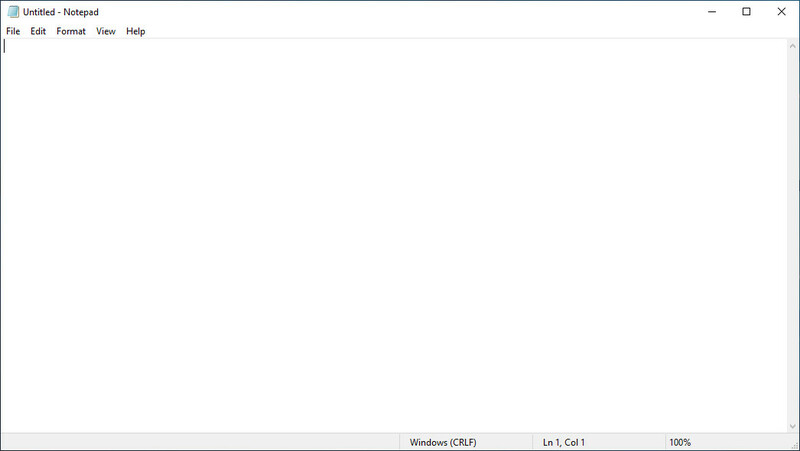 The entire OS feels snappier, installing/opening programs, navigating through the Settings UI, etc. cdoublejj, 0lok, Mr. Fox and 5 others like this. Do those ISOs include W10 Enterprise? I'm already shaking my head at the amount of tweaks I need to redo and do for the new stuff as well. this build's snapiness is insane! 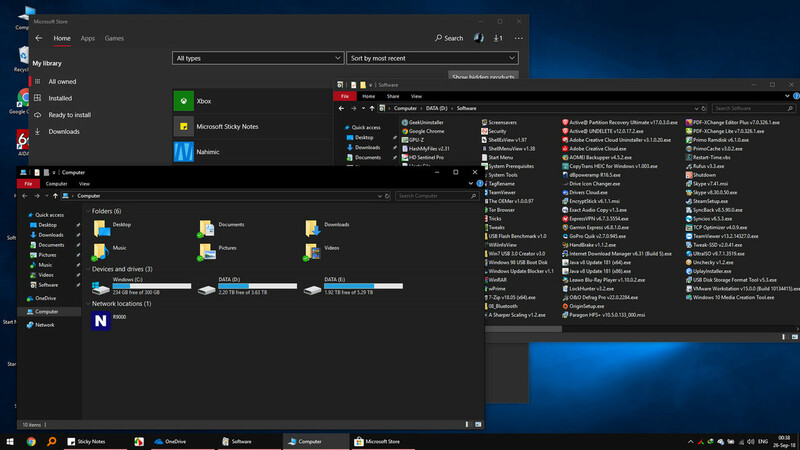 its like a whole new Windows. steberg, Aroc, Vasudev and 2 others like this. Looking forward with your excellent bloatware free version.. Thanks in advance..
Zoltan@HIDevolution, Aroc, Vasudev and 1 other person like this. varunreeves, Mr. Fox, steberg and 1 other person like this. T_T only got the home edition..
edit: still going to download it.. might buy a pro key on pay day.. Still hoping youll make one for home edition.. I don't have the time honestly to de-bloat both editions now so I am uploading the standard all Edition ISO now which should be uploaded within the next 20 mins.